Browsing all articles in Jaguar. 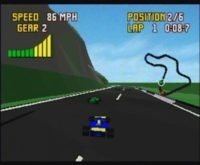 Atari’s rushed attempt to go head to head with Virtua Racer leaves the Jaguar, yet again, in the dust. 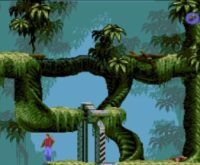 A solid port for the Jag, at a time when Atari was pushing it as a console that could do what other console’s couldn’t dream of. 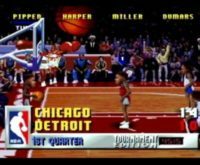 The Jaguar’s port of the venerable NBA Jam steamrolls its 16-bit competition in technical prowess and accuracy to the arcade. Boomshakalaka! 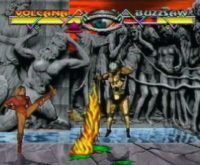 The best fighting game for the Jaguar is a somewhat decent fighter elsewhere. Also, the game with Poopalities. 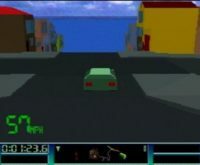 Another apparent tech demo hurriedly packaged as a game, Club Drive has lots of imagination, but little gameplay. 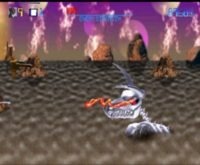 Scrolling shooter that made up one of the Jaguar’s launch titles. Not exactly the kind of showcase the nascent console needed.